Oh my god I can’t believe it’s been a whole month since I posted on here, yet again I am so sorry! My excuse is I got an iPhone just before Christmas and I still can’t figure out how to get the photos off it so I’m posting this using the WordPress app. This teriyaki marinade is so simple to make it is so useful you can have it on salmon, chicken, beef, vegetables, anything! It’s absolutely delicious and one of the quintessential Japanese flavours for me. – Mix all of the ingredients together in a ziplock bag. Shake until the sugar is dissolved. – Add your meat/fish and either leave in the fridge overnight or at room temperature for 2 hours. – Remove the meat/fish from the bag and pour the marinade into a saucepan. – Bring the sauce to a boil and simmer for 20 mins until it starts to get thicker. 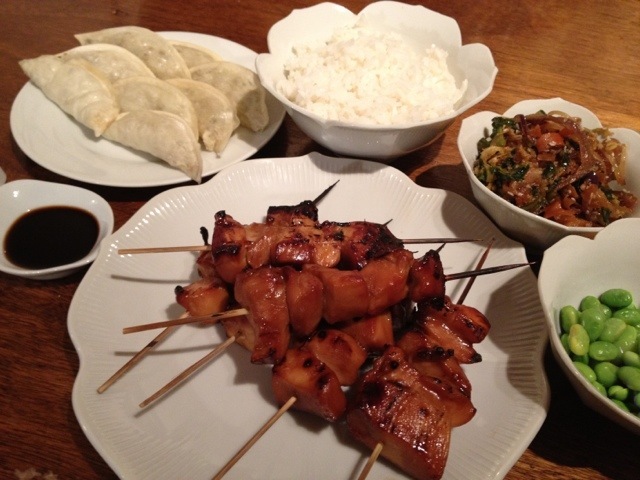 – If making skewers then thread the meat onto your skewers while the grill heats. – For salmon fillets I would suggest a cast iron skillet or heavy frying pan, for skewers the grill. 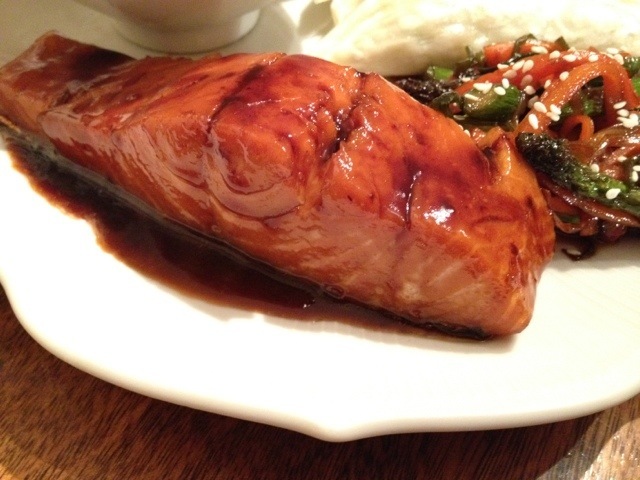 – While cooking brush the meat or fish periodically with the sauce for an even better flavour and a nice sticky coating. – If making vegetables skip marinating and simply sturdy the veggies and then add the thickened sauce. 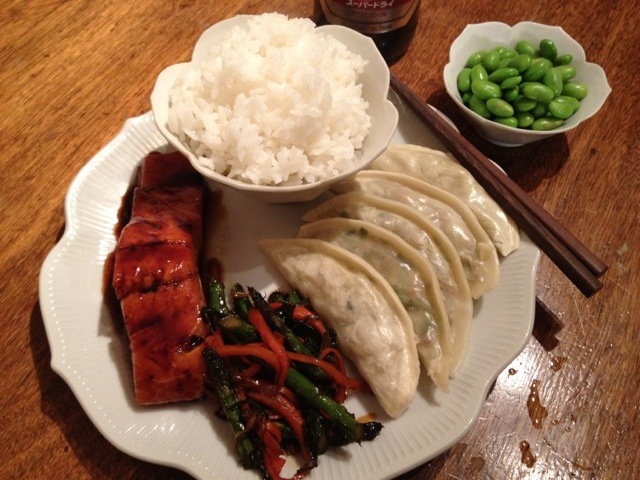 – I always serve this with sticky Japanese rice, gyoza (dumplings) and edamame. Yum!